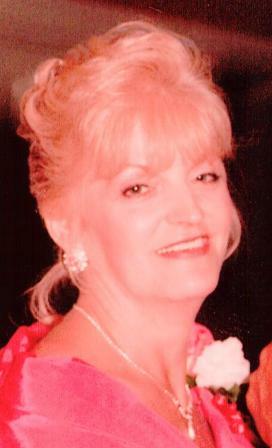 Phyllis Paquet-Baker, age 70, of Salamanca, New York, died early Wednesday morning, January 15, 2014 at the Olean General Hospital, Olean, New York following a long illness. Born October 30, 1943 in Salamanca, New York, she was the daughter of the late Walter H. Cricks and the surviving Anna Belle Boardman Cricks. She was married on December 24, 1993 in Salamanca, New York to Mr. Daniel Baker, who survives. She was a graduate of Salamanca High School Class of 1962. She attended the Roberts School of Beauty, where she earned her cosmetology degree, becoming a New York State licensed cosmetologist for over forty years. She owned and operated Clinton Styling House. She previously worked at Chic's Salon, Heads Together, and Transitions. She started and operated the salon in the Salamanca Nursing Home, as well as Heads Together II in Ellicottville, New York, and worked with the New York State Department of Youth in Great Valley, New York. Phyllis served as a Ward IV Alderman for the City of Salamanca, served on the Planning Committee, and had run for mayor. She was a member of the Salamanca Chamber of Commerce, the ZONTA Club, and the Holy Cross Athletic Club. She took pride in her family and her home, especially her flower gardens. She enjoyed the outdoors, cross-country skiing, and cooking. Surviving besides her mother and husband are: a daughter, Laurie Paquet-Krug, Little Valley, NY; a stepson, Keith (Laura) Baker; a granddaughter, Amanda Marie Krug, Little Valley, NY; a grandson, Donald Jason (Erin) Krug, Little Valley, NY; 4 step-grandchildren, Brittny, David, Christopher, and Zachary; 3 great-granddaughters; a sister, Kathleen (Bruce) Humphery, Apple Valley, CA; a brother, Robert (Judy Crist) Cricks, Muritta, CA; several nieces and nephews. She was predeceased by two brothers, Walter Cricks, Dennis Cricks, and an infant sister, Anna Belle Cricks. Friends may call at the O'Rourke & O'Rourke Inc. Funeral Home, 25 River Street, Salamanca, New York on Sunday from 2 - 4 and 7 - 9 pm. Funeral services will be held in the funeral home on Monday at 11 am, with Pastor Mike Trenchard officiating. In Lieu of flowers, the family suggests memorials to the Alzheimer's Association, 225 N. Michigan Ave. Fl. 17, Chicago, IL 60601 or www.alz.org.